Police in West Street, Chichester, after reports of an assault earlier this evening. Police were seen in West Street, Chichester yesterday evening, following reports of an assault in South Street. 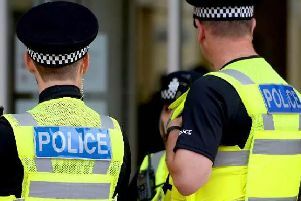 A police spokesman said officers were called to reports of an assault among a drunken group of two men and two women in South Street at 4.55pm. He said: "One of the men involved was taken home by police and there will be an investigation into the assault."